August 20, 2018 August 20, 2018 by Wm. B. Eerdmans Publishing Co.
Scot McKnight is convinced Philemon and Colossians have powerful lessons for contemporary Christians. In this interview, McKnight takes a closer look at each book’s revolutionary message and, briefly, discusses the development of commentary writing since Bruce’s NICNT volume The Epistles to the Colossians, to Philemon, and to the Ephesians and Gordon Fee’s NICNT volume The First Epistle to the Corinthians. Paul’s letter to Philemon carries a strong message of breaking down social barriers and establishing new realities of conduct and fellowship. It is also a disturbing text that has been used to justify slavery. Though brief, Philemon requires close scrutiny. In this commentary, Scot McKnight offers careful textual analysis of Philemon and brings the practice of modern slavery into conversation with the ancient text. Too often, McKnight says, studies of this short letter gloss over the issue of slavery—an issue that must be recognized and dealt with if Christians are to read Philemon faithfully. Pastors and scholars will find in this volume the insight they need to preach and teach this controversial book in meaningful new ways. Don’t miss Eerdmans Author Interviews: Mark Galli on his new book, Karl Barth: An Introductory Biography for Evangelicals. 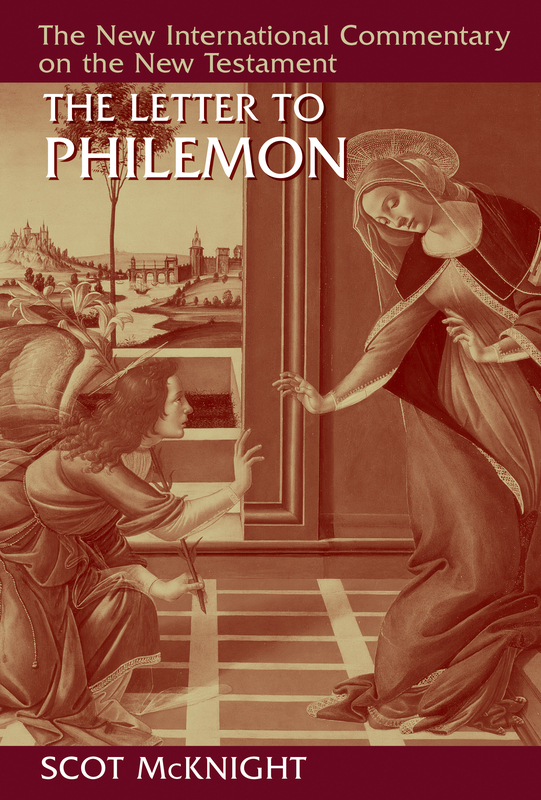 Purchase The Letter to Philemon (NICNT) at Eerdmans.com, Christianbook.com, or Amazon.